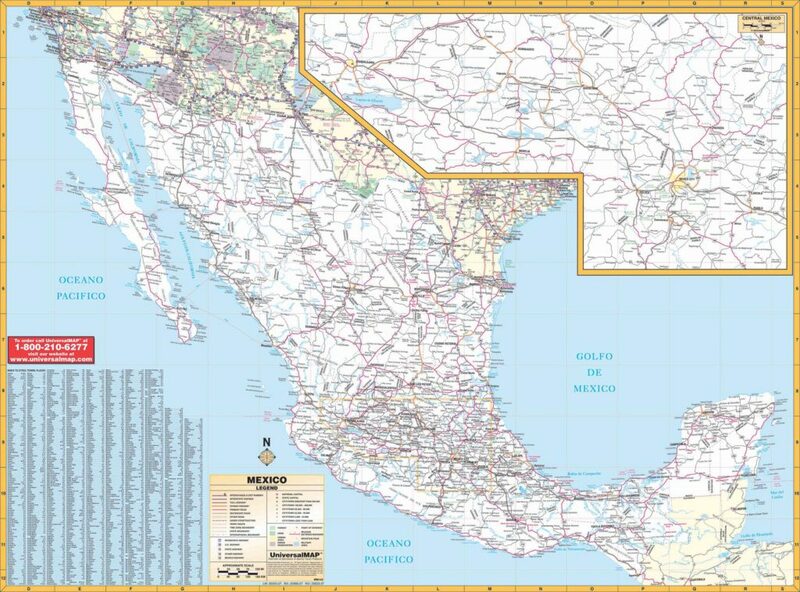 The Mexico Wall Map by Kappa Map Group contains a durable, laminated surface which is both markable and washable. Measures 69″ W x 54″ H.
A special feature is an inset of Central Mexico from Mexico City to Guadalajara. Details include the following: State highways, interstate highways, Mexican highways, cities, towns, state parks, major waterways, military installations, and points of interest.